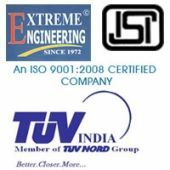 Having considerable experience of the needs and trends of the domestic as well as international markets, Bharat Industries has firmly established itself as a Manufacturer, Exporter and Supplier of Diesel Engines, Water Cooled Engine, Diesel Power Generator, 15 KVA Diesel Generator, Water Pumpset, Air Cooled Blower Engine, Electric Mono Pump Set, Air Cooled Blower Type, Air Cooled Engine, Cub Water Pump (Chhota Bheem), Water Pumps, AC Alternators and Diesel Welding Generators. Offering the products under the brand name ‘Bharat Industries’, the company has received an ‘Award Of Excellence’ from the National Council Of Engineering and it holds a rating of SE 1B from NSIC-CRISIL as well. The products, offered by the company, are known for their excellent quality and long service life.